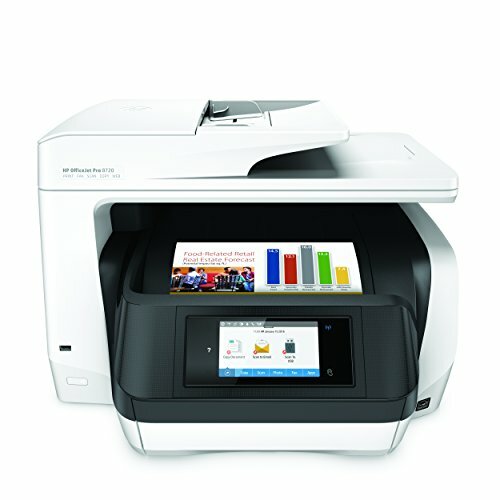 i Click 'view all' to instantly compare this ok deal with offers on other top office printers. 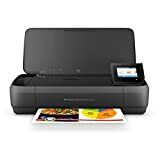 HP OfficeJet Pro 8720 All-in-One Wireless Printer with Mobile Printing is currently selling at $299.89, approximately $38.88 higher than average, giving a potential saving of $0.10 right now. With a lowest price of $179.99 and an average of $261.01 it is selling on the high end of its usual range. Price volatility is 1.93% (meaning it does not change often), so you might have to wait a while for the price to drop. Right now this product is a recommended 'ok deal'. 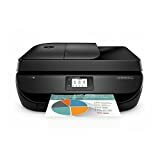 Compare the current price, savings (in dollars & percent) and Buy Ratings for the top Office Printers that are closely related to HP OfficeJet Pro 8720 All-in-One Wireless Printer with Mobile Printing. Here is how HP OfficeJet Pro 8720 All-in-One Wireless Printer with Mobile Printing compares with other leading Office Printers. Satisfy office demands with HP Print Forward Design. Spend up to 50% less per page compared with lasers, and produce the color and black text output you need. Reduce paper use with blazing-fast two-sided printing from a printer made for high-volume offices. Get high speeds for two-sided print and scan jobs with laser-like paper handling, and preserve real estate with space-saving HP Print Forward Design. Print longer—without reloading—from an optional second paper tray. Keep business moving from anywhere in the office. Connect to devices with touch-to-print functionality. Easily print when and where you need to from your smartphone, tablet, or notebook PC—and maintain privacy. Stay productive with a large touchscreen and scan-to-network-folder-and-email capabilities that help you easily handle high-volume print jobs. Manage costs for a more efficient office with Color Usage Control. FeaturesMain functions of this HP color inkjet photo printer: copy, scan, wireless printing, AirPrint, two-sided duplex printing, touchscreen, Instant Ink ready so you'll never run out of ink.Mobile printing: print from anywhere using your smartphone or tablet with the free HP ePrint app, easily print from your iPhone or iPad with AirPrint, print even without a network using Wireless Direct printingHP Print Forward Design: advanced paper handling for business, no trays or extensions, private and hassle-free output. Advanced duplex capability with single-pass duplex copy/scan.Borderless printing :Yes, up to 8.5 x 11 in (US letter), 210 x 297 mm (A4)Spend up to 50% less per page compared with lasers. Ideal for small workgroups who need professional-quality, affordable color and versatile all-in-one capabilities.